The UK is due to leave the European Union, which is likely to lead to changes to the system for EU students studying in the UK. The situation will be different depending on whether the UK leaves the EU with a deal (withdrawal agreement) or without a deal (no deal). The European Union has granted the UK a six-month extension to Brexit, making the new deadline 31 October 2019. The UK must now hold European elections in May, or leave on 1 June 2019 without a deal. We would like to provide information to reassure new and current students who study at University Centre Peterborough. assuming the UK leaves the EU with a deal, there is no immediate change to your immigration status. We welcome new applications from EU students on undergraduate courses. If you’ve already applied to University Centre Peterborough and are due to start a course in 2019/20, there are no changes to your offer. It is still valid. You may notice some changes to the rules around visas and immigration – and, to a lesser extent, fees and funding. These are detailed below. If the UK leaves with a withdrawal agreement, you will not need a visa if you arrive in the UK before 1 January 2021. You, and any eligible family members who are living in the UK, will be able to apply for settlement if you wish. It's free to apply. The rules change from 1 January 2021. All EU students arriving on or after this date will need to apply for a student visa. For more information about visas and immigration visit the gov.uk website. If the UK leaves with no deal, you should apply for a European Temporary Leave to Remain. This lets you stay in the UK to live, work and study for three years. If you’d like to stay in the UK after those three years, you can apply for a visa under a new immigration system. This information doesn't apply to Irish citizens: you will have the right to enter and live in the UK under Common Travel Area Arrangements. If you're an EU student starting a course in the 2019/20 academic year, your fees will remain the same as those of UK students for the duration of your course. This will remain throughout the duration of their studies regardless to what happens with Brexit. This also applies whether the UK leaves the EU with or without a deal. You will still be able to apply for student loans and grants. Students will be able to get a tuition fee loan (covering the costs of their degree) if they have been resident in the UK before 1st September 2016, and will be able to get a maintenance loan (up to £8,700 per year to help with living costs) if they have been resident in the UK before 1st September 2014. 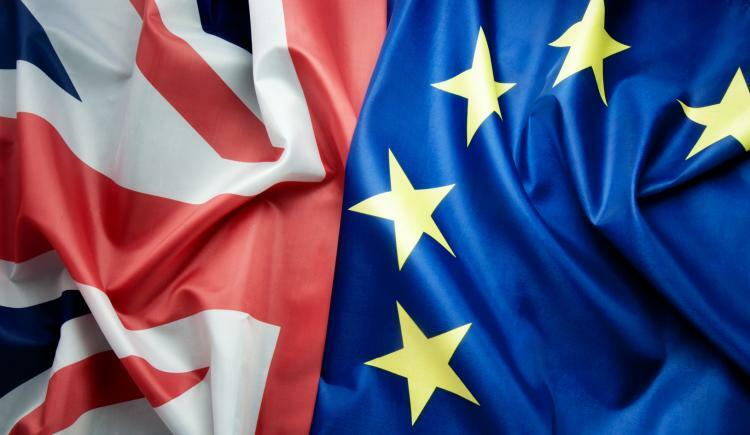 The fee status of EU students starting courses at UK universities from 2020/21 has not yet been determined, but you can visit the gov.uk website for latest updates and information. It is not immediately clear how Brexit may affect EU students who want to work while studying. The rules will be mapped out as part of the UK's withdrawal agreement. We anticipate that there will be working restrictions after 31 December 2020, but do not yet know what these might be. Until 31 December 2020, EU citizens will be free to work in the UK as they do now. If you wish to remain in the UK after December 2020, you can apply to stay under the settlement scheme. This is open now for students. If there is no deal, applying for a European Temporary Leave to Remain will give you the right to work in the UK as a student. Irish citizens' rights to live and work in the UK will not change. EU students can continue studying with us in the UK. If the UK leaves the EU with a withdrawal agreement, you (and any family members) may notice a few changes. These are outlined below. Please note that this information may change if the UK leaves with no deal. Under the terms of the withdrawal agreement, you will not need a visa if you’re already in the UK (on or before the departure date). If there is no deal and you're already resident in the UK, you can apply for pre-settled or settled status. There's no rush to do this: you have until 30 June 2021. Your fees will remain the same as those of UK students for the duration of your course. Current EU students can continue to work and study in the UK. If you're in the UK now, or arrive during the transition period (departure date–31 December 2020), we encourage you to apply for the EU settlement scheme. You can apply free of charge. If you want to stay in the UK after you graduate, you can apply for pre-settled status. This allows you to stay in the UK for five years, at which time you can apply for settled status. Settled status means you can stay in the UK indefinitely. If you have already been in the UK for five years, you can apply for settled status now.